Richard is currently the Executive Director of Western Forestry and Conservation Association (WFCA) and has been in that position since 1988. Prior to that, he was the Continuing Education Coordinator with the Society of American Foresters in Washington DC and also worked as a logging engineer with Crown Zellerbach. He received his BS in Forest Management at the University of Minnesota and a Masters of Adult Education from Washington State University. He is also a graduate of the Washington AgForestry Leadership program, Class 5. 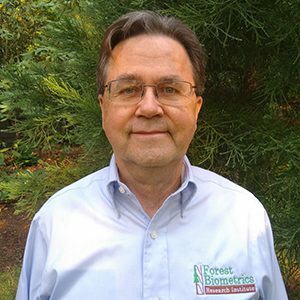 Richard also serves as the operations manager for the Forest Biometrics Research Institute, which has contracted, with WFCA since 2010. He administers the financial and business side of the Institute. Richard was raised in Minnesota and is glad to leave the midwest winters behind and enjoy the lush PNW. He enjoys reading, home handyman jobs, and biking. His wife, Margaret, is a horticulturalist and has one son who is working as a mechanic engineer.